Outside of Etsy: Where Can You Sell Your projects? Home / Woodworking Articles / Where Can You Sell Your Projects? Etsy is the go-to spot to list handcrafted goods, no doubt. But the site is highly saturated and competition is steep. Even if you use Etsy as the primary spot to list your router projects, it’s smart not to put all of your eggs solely in that basket. By diversifying where you sell, you’ll have more eyes on your work, a better chance at sales and won’t panic if a customer dispute or problem freezes or closes your account. Consider diversifying your market presence by adding these markets to your roster. If you don’t already have a website dedicated to your work, why not? Maintaining your own web presence is the best way to ensure the security of your income. Unlike Etsy, you’re not relying on a platform owned, managed and governed by someone else. Not only can your clients find out all about you, your process and your work, but your own website allows you to run your own shop – without losing a percentage of sales to the fees taken by Etsy or its alternatives. Creating your own site requires a little bit of web savvy, but it’s also possible to hire someone to do the heavy design lifting. If you get really into it, you can maintain a blog to catch the eyes of potential new customers and bring in commissions or new work. Even if you don’t have a dedicated Facebook page for your work (and you should, if you’re serious about it as a business! ), you can make use of social media to sell your projects. Facebook’s Marketplace feature is designed for facilitating local sales and you can list items from your private, personal Facebook page. Instagram (again, an invaluable tool if you’re considering getting serious about selling your work) is another option – especially if you know or can enlist the help of someone who knows how to target customers through the use of hashtags. If you’re not confident, you can have a savvy friend or relative give you a crash course or hire a social media manager to do it for you. If you’d rather not sink your time into web selling, keep an ear out for craft fairs, farmers markets and festivals in your area. You’ll need to pay a booth fee to display and sell your projects and do the work of packing it all in and setting up a table and display, but you’ll have a steady stream of eyes on your work all day and those people are specifically looking for quality, handmade goods. 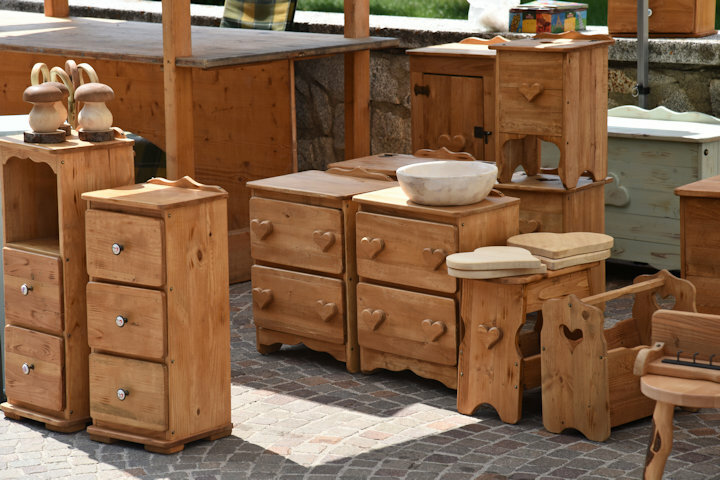 Some shoppers are looking for bargains, but others know that a lot of work and skill went into creating your projects. It’s hit or miss as to how well you’ll do: regular sellers know that it’s possible to not even recover their booth fee one day and outsell their yearly total another, depending on how unique and attractive the router work they have to offer is and the crowd they’re displaying it to. Whether you want to sell your work in person with a physical location or maintain a steady web presence to make some money selling your projects, there are a number of alternatives to Etsy, each with benefits and drawbacks unique to them. Consider your preferences, needs and the amount of time and type of work you’d like to put in to sell your router projects and pick one or two to try out.